Last month I cracked through the goal I had set myself for this year: €70,000 in net worth, a massive amount of money by many of my peers’ standards. Admittedly, the past version of me would probably have thought the same if he hadn’t come across the numerous financial independence blogs out there. And even though my focus mostly lies on building a passive income stream, mainly through dividend growth stocks that increase the distribution of their profits to shareholders every year, I also enjoy tracking my total portfolio value. 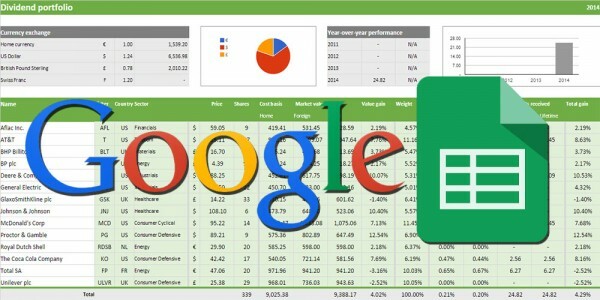 It’s yet another quantitative indicator on my big financial independence dashboard to show me I’m on the right track. Interestingly, I am now at a point that I have no control anymore over the monthly movements of my portfolio. My stock market bound assets fluctuate so much that my excellent savings rate can’t smooth out the ups and downs like it did in the past. 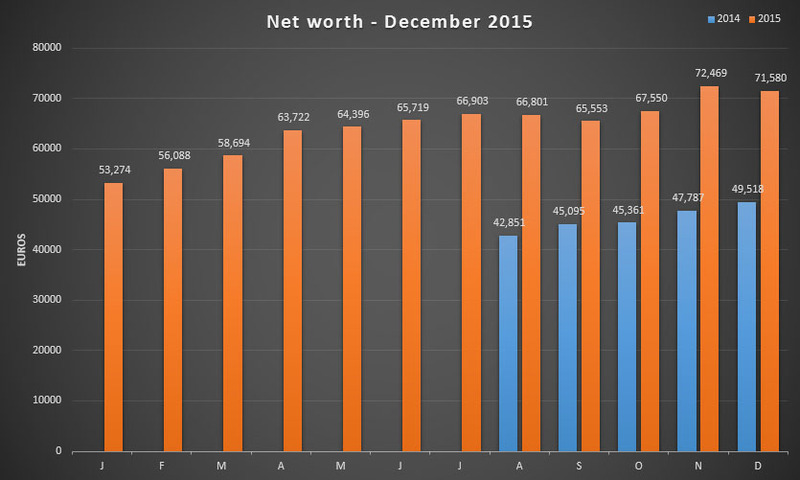 That’s why December’s net worth update shows a €889 decline compared to November even though I managed to pocket €1,587 of my salary, dividend income and side hustles. The table above shows what I mean from July onwards. Flat numbers were followed by a decrease, then by two big spikes upwards, to finally finish with another downward turn. Still, seeing that big seven at the start of my five-figure net worth feels excellent – who would have thought I’d make my goal by November already!? In relative numbers December’s slump comes out at -1.23%, which isn’t too bad considering most stocks have taken a much larger beating. The reason behind the relatively small decline is quite obvious since I keep quite a lot of cash on the side. On top of that I managed to save a big portion of my salary yet again, as I’ve previously said. Who doesn’t love passive income that flows into your brokerage account at regular intervals? I certainly do! Since purchasing French integraded oil company Total SA (EPA:FP), my first individual stock, last year the companies below have been doing just that. Of course, these shares also fluctuate in price over time. It’s interesting to see how increasingly some types of stocks perform remarkably well, while others continue dropping faster than a knife – and trying to catch them seems of no use at all. For example, in November I talked about how I thought my recent acquisition of Kinder Morgan (NYSE:KMI) was a good long-term position to be in, but with the benefit of hindsight I can now clearly say it never was, at least for me. As such, I decided to cut my loss and ditch the stock – more on the entire debacle in an upcoming post, which also takes a step back and takes a good hard look at my strategy and my attempt at portfolio and dividend diversification. I re-allocated the funds from my KMI sale to British distiller Diageo (LON:DGE) because I prefer its more conservative business model and underlying fundamentals. Of course, the fact that the spirits manufacturer traded at my initial purchase price once more didn’t hurt either. Compared to dividend growth stocks, the exchange-traded funds I hold in my brokerage account are less exciting – and that’s a good thing. Their set-it-and-forget it approach remains one of my favourite ways to invest for the long-term in markets all across the world. However, compared to last month they took quite a beating too, losing about 7% in value. I’m not one to compare the performance of my dividend growth stocks to an index, but the decline of my ETFs is in the same ballpark as my dividend stocks. That’s why I once again decided to purchase another seven shares of the MSCI World ETF, which I’ll probably continue doing so for the foreseeable future. Exchange-traded funds still too exciting for your taste? Well, then this category of assets is for you! Due to the fact that they mostly consist of cash-based savings these assets don’t change much over time, with the sole exception of my pension fund, which I plunked another €77.5 into so I can take full advantage of the tax benefits it offers. On top of that I am still rebuilding my emergency fund at a rate of about €500 each month after I used it to purchase some stocks on the cheap at the end of August. I know it’s a rather large amount of money idling in low-interest accounts, but I prefer to keep a rather large amont of cash on the side. Success! 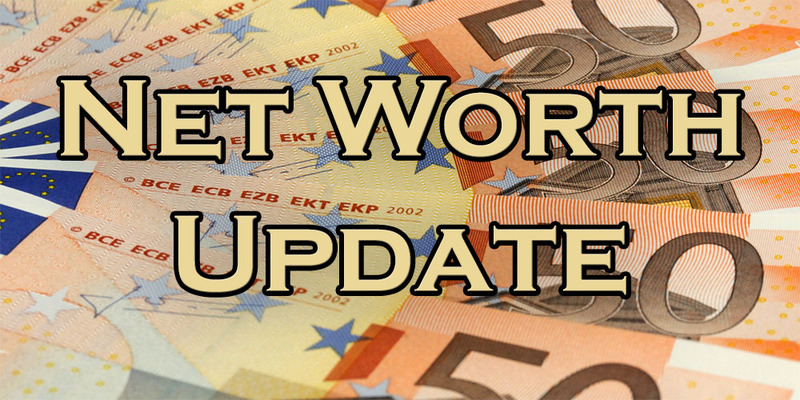 Even though my total net worth went down, I’m still over my goal of €70,000 for the year! With a year-end bonus and a large tax refund coming my way, I’m certain to crush the challenge I had set for myself at the start of this year – awesome. Whoever first told me that saving and investing your money is the best way to build wealth, thank you. Now that 2015 is drawing to a close it’s time we all reflect on the past year and set new objectives for next year. I’m looking forward to going through the numbers of my savings and investments to see where I can improve and thus shorten the time to when my assets cover all my living expenses. I hope you are too. Stay tuned! Thank you for reading and for your support. Ah well, not all months can be winners. We got hit too by the same forces of the markets/currencies. Goes with the territory! Still, your savings rate is very good and you made both your networth and dividend targets for this year. Seems you have done rather well. The market and currency forces had rather large effects on everyone’s portfolio would be my guess! No surprise when stocks shift upwards of 3% on a daily basis almost every week. By far the most important thing for me is to maintain my savings rate indeed. I’ve got a long way to go and the longer I can have my cash work for me the better off I’ll be for it. I didn’t make the 70% goal, but ended the year with the finish line in sight at 67%. Still a massive savings rate in my book! Quite a wild ride recently,the KMI cut was disappointing and it looks like BHP Billiton will cut its dividend too. KMI was very disappointing since I just bought into it for the first time. What struck me most was the way management handled the entire ordeal. In October they announce dividends will continue growing at least at 6%, then in November they take on so much useless debt by acquiring a defaulting company only to slash the dividend afterwards. That’s what I call killing off investor confidence. Management made me decide to cut my loss and run more than the dividend reduction in itself. Let’s see what happens with BHP, but I suspect we’ll see a 50% cut after the next payment. Wouldn’t be too bad, in my opinion! Just wondering how you got the 10 Indivior plc stocks for les than 4 EUR? Was this a sort of spin off or did you intentionally buy these? The Indivior shares were spun off from Reckitt Benckiser (RB) some time last year. Through some weird tax law in Belgium we’re required to pay income tax on it, which amounts to about 25% of the initial share price. That’s why my purchase price is so low and the gains so large. Selling the shares would be too expensive through my broker, so I just hold on to them. It’s a nice company anyway, but not something I would invest in myself. Makes sense, could not imagine you actually buying stocks for taht amount of money. Congrats on hitting the €70k! Enjoy the festivities and here’s to a great and prosperous 2016! Have a wonderful year-end too! I hope you have fun with your entire family. Hello, I’m quite new to all this and wanted to ask which Bank/Broker do you use in Belgium, and is that choice made specific due too low costs of the bank(transfers) or was it the bank you were with before you started doing this? Currently I have my ETFs at BinckBank because I use free transactions costs (refferal credit – let me know if you’re interested in being reffered too since it’ll get you €100 in free transactions). 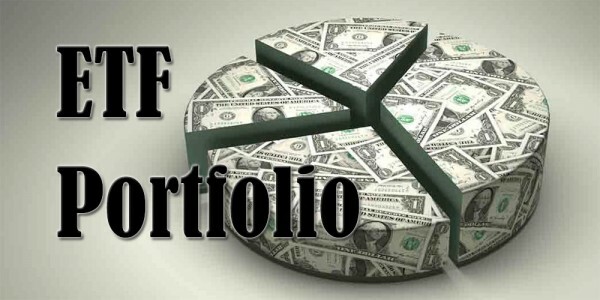 The dividend portfolio is located at KBC’s Bolero due to the excellent handling of foreign withholding taxes. Both of these brokers aren’t my usual bank! Do you know any bank which also handles ETF’s on a more national scale? I see they only have 3 banks over Belgium, or do you do everything online, without ever visiting a franchise of them? Or are they just best with their online service and transactional costs? Personally I hardly ever visit bank offices because everything is available online. The only time I walk in their is when I need specific information with regards to mortgage loans or something like that. At the moment I like a lot of Belgians have most of my money on my account(KBC), idling. Through the internet I found your site/story/blog. I’m about the same age as you. I checked out the BinckBank but the closest to me is atleast 100km’s if not further, would you still advise for their low costs/good online service? Since I won’t be driving 100km to get specific information. Or any alternative with more offices nation wide (No need for the really big ones)? Sorry that I’m asking so many questions. If you’re looking to get a higher return on your savings than in a traditional savings account, you would do good to read up on investing and different types of investments. Personally I would go for an ETF strategy if you’re new, because it’s the easiest way to quickly diversify your investments and to invest for the long-run. None of the online brokers have offices you can walk in to. I don’t know why you’d want too though, hardly any of them offer investing advice. If you really want good customer service and are willing to pay a bit more, your best bet would be Bolero. Very good phone and e-mail support. If you really want a physical bank office to visit, you’ll have to stay at the traditional banks like KBC, Belfius, BNP-Paribas, Argenta, ING, etc. However, they’ll always direct you towards their mutual funds and are expensive. 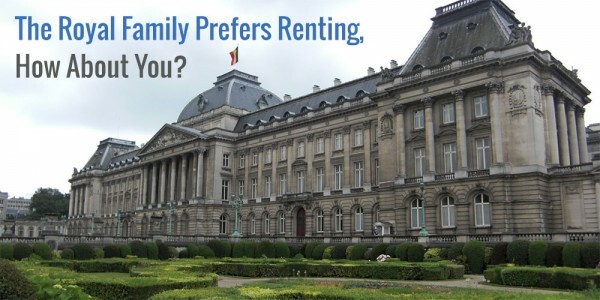 What do you plan to do when the “speculation tax” in Belgium, starts on 1/1/2016 ? Don’t think it will affect him, speculation tax only applies when u sell a stock in less than 6 months after buying it. The capital gains tax on speculation doesn’t bother me one bit. I hardly ever sell any shares (I did so for the first time this month) because I’m in it for the long haul. Six months is a very short time frame and I don’t expect to ever sell so fast with a lot of gains. How about you? Do you trade more actively? First of all happy holidays to you. Seems like a solid month there. To bad you had to take such a loss on KMI. I’m glad you crushed your goals for this year. Are you already considering them for next year? Considering the loss I took on KMI it’s a solid month indeed. Just wait until my bonus and tax back hits my acccounts, ha! The whole KMI debacle is sad, but at least I learned a couple of valuable lessons. Yep, I’m currently drawing up my goals, but since I’m also eyeing an apartment to purchase – even though it would be a financial step back – I’m not certain how to set my goals. I guess we’ll see in a soon to be coming post. Hope you hit all your objectives too, but I bet you crushed them, no sweat!